We collaborate with our clients and apply a rigorous methodology in cost estimate development in alignment with AACE International® (AACE) criteria and client standards. Our clients commonly employ a stage-gated front-end engineering work process in which cost estimates are developed at the conclusion of various project phases. Cost estimate accuracy is refined as the project progresses, moving from early concept estimates to project authorization / control budget estimates. We employ different approaches for each estimate stage consistent with industry and client standards. Estimates are organized to reflect the planned engineering and construction execution approach. We have developed hundreds of cost estimates based on this approach, supporting our clients’ project investment decisions. We develop a comprehensive Basis of Estimate (BOE) report with each cost estimate. The BOE documents the scope, procedures, data sources, assumptions and exclusions related to the estimate development. The BOE includes a project scope and cost summary and a detailed explanation of each cost category. Kestrel uses AspenTech® In-Plant Cost and Capital Cost Estimator software (Aspen) as its primary estimating platform. Aspen is supplemented with other estimating references and in-house developed tools. The American Kestrel (Kestrel) is easily identifiable as the most colorful of the falcon family, but its colorful plumage is only one of its several exceptional traits. The Kestrel is not only the smallest raptor in North America, but it also has the most diverse feeding habits. The Kestrel can hunt from either a hover or a perch and commonly feeds on both small rodents as well as small birds, the combination of which is unusual amongst raptors. In addition, the range in the size of prey taken by the Kestrel is exceptionally broad, as it extends all the way from insects to birds twice its weight. The Kestrel is unique too in its adaptability, living in the nests of other birds, comfortable in both urban and rural environments, and changing its hunting grounds and nesting locations depending on the presence or absence of suitable prey. 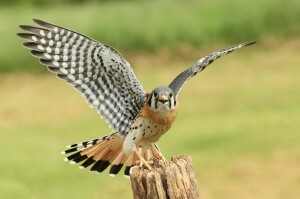 Combined, these traits make the Kestrel an extraordinary opportunist and a true survivor, as evidenced by its presence throughout North America.